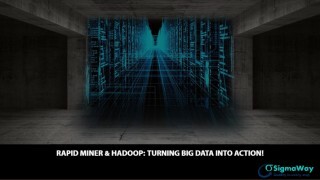 SigmaWay - SigmaWay Blog - Rapid Miner & Hadoop: Turning Big Data into Action! 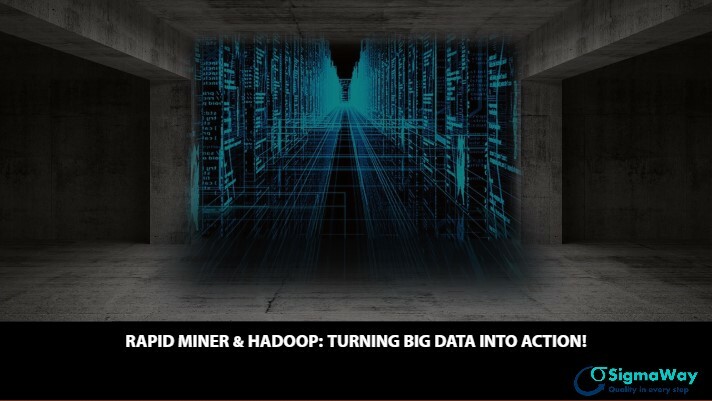 Rapid Miner had an existing partnership with Radoop - an analytics company that optimizes the big data platform known as Hadoop. Now, after successfully acquiring Radoop, Rapid Miner will be able to provide access to many other Hadoop features to its customers which will in turn build a larger presence in the Hadoop ecosystem for RapidMiner. The acquisition also brings partnerships with Hadoop platforms Cloudera and Hortonworks, and adds 20 new clients to RapidMiner’s customer base. The powerful combination of RapidMiner and Radoop will allow applications of advanced analytics to big data. 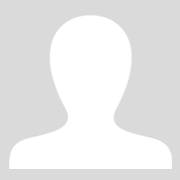 Apart from providing scripting and advanced predictive analytics for experts, it will also help non-technical people to access, analyze, and visualize big data.